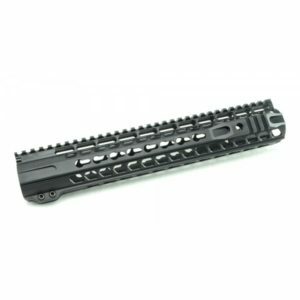 Monarch Arms Shop Upper Parts Monarch Arms B.I.T (Built In texture) handguard. 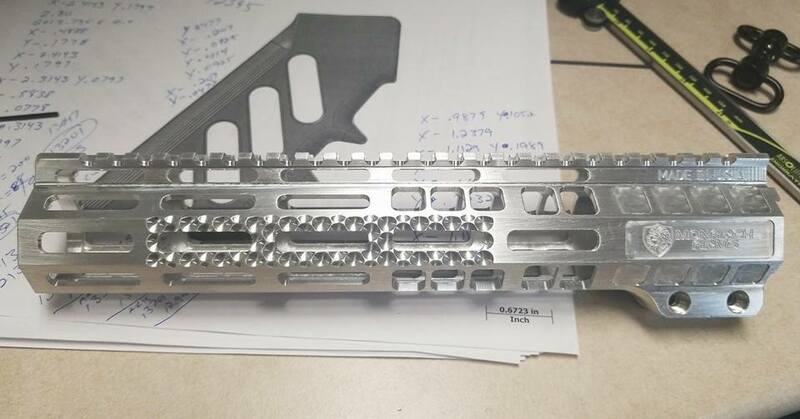 The all new Monarch Arms BIT rail is a unique design that incorporates texture directly into the handguard surface to allow a better grip without adding 1/2 inch of additional diameter to the handguard like many after market rail covers on the market. The built in texture also allows for rail mounted devices to still be mounted anywhere along the length of the rail unlike add on rail covers. 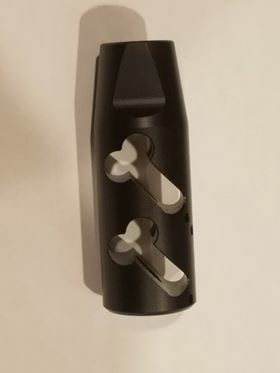 These handguards are made in the US and feature a full length, low pro STEEL barrel nut that provides a solid mounting solution without having to time the barrel nut. No special tool is required to tighten the barrel nut. 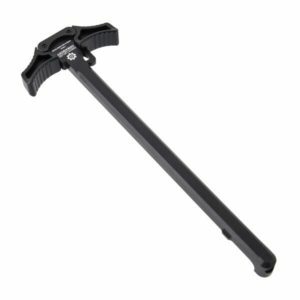 It can be easily secured with any standard crescent wrench. 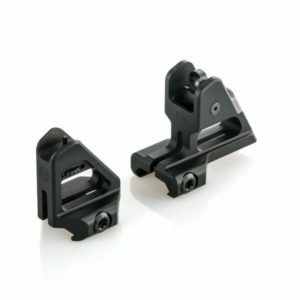 The Monarch Arms BIT rail was developed with shooter input with the real shooter in mind. They are a slim design with a 1.33 ID and a 1.5 OD, feature Mlock mounting slots at 7 positions, a full length top rail for accessories and of course our built in texture to aid in providing a non slip gripping surface.